Located in the lobby of the Day’s Inn by the Falls in Niagara Falls, New York, Denny’s offers 24 hours of service. 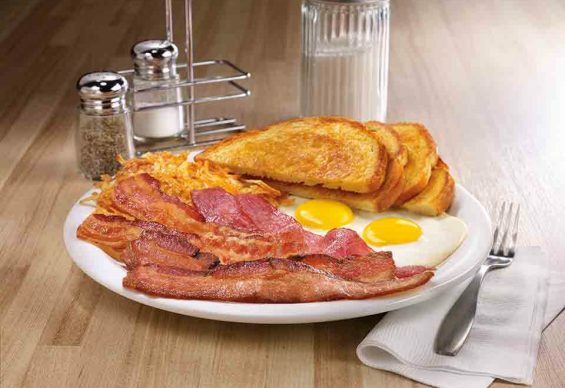 Home of the Grand Slam Breakfast, Denny’s is the perfect family restaurant. The most recognized name in Family Dining, Denny’s Restaurants are located throughout North America. Offering a casual dining atmosphere and moderate pricing, all served 24 hours a day. Featuring its famous Original Grand Slam Breakfast and Meat Lover’s Breakfast. The lunch and dinner menu are increasing in popularity with a variety of cravable burgers, sandwiches, salads and other entrees.